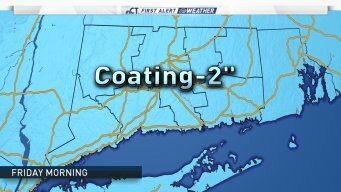 NBC Connecticut Meteorologists have issued two First Alerts for wintry weather expected Friday and again on Sunday. 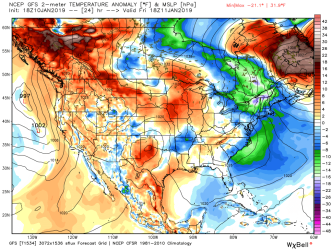 Temperatures are turning colder but there's not much snow in the forecast - for now. 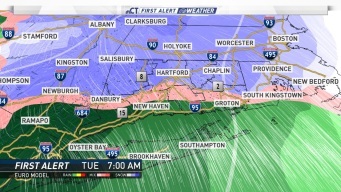 There are dozens of school delays Tuesday morning as a light coating of snow coats roads and the NBC Connecticut meteorologists have issued a First Alert. 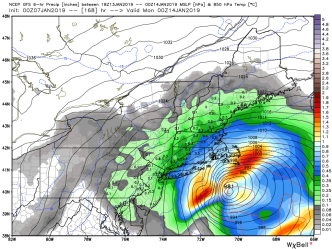 NBC Connecticut meteorologists are tracking our next wintry storm. 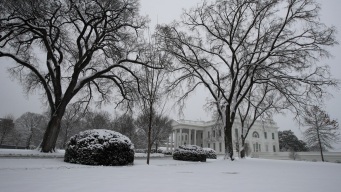 A rainy Saturday but signs of winter ahead. 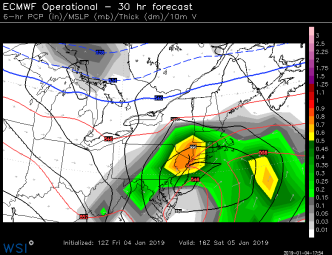 NBC Connecticut meteorologists are tracking a storm that will bring heavy rain on New Year’s Eve. Winter Weather Advisories have been posted for northern CT ahead of a wintry mix that will impact the area Friday morning. It might not be a white Christmas....but it is a bright Christmas! Plenty of sunshine for the holiday with temperatures seasonable in the upper 30s.